Born in Boston in 1975 and raised in coastal Maine, I earned my degree from Maine College of Art and moved to rural western Maine where I currently paint in my studio in the woods. 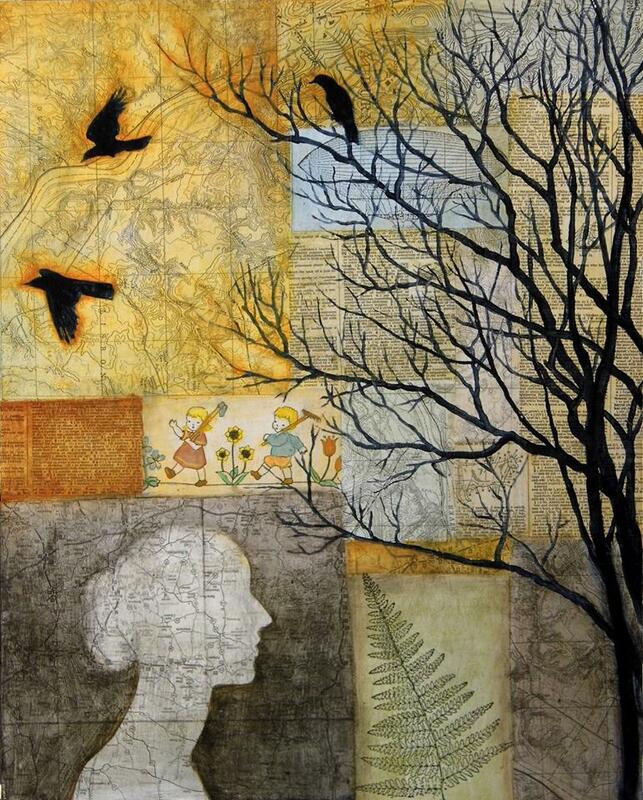 My mixed media paintings and collages are inquiries into the relationship between nature, science and spirituality, exploring the tenuous qualities of memory and perception. The meanings of images are broken down and assembled into new contexts to create mysterious narratives. The work evolves by layering paper ephemera and drawings with glazes and opaque oil paints, which simultaneously obscure and reveal. My art seeks to attain a deeper understanding of human perception, interaction with the natural world, and the ways by which we create our own realities.